Writing is strange. The word ‘meta’ sends me into a panic. I also know I can disappear in unproductive mists of rumination if I start to try to write about writing. Not to mention tweets via various accounts, letters of complaint to council planning officers, a job application for unfamiliar work, daily scraps about stuff that may end up in fiction,a major edit of the opening of my middle grade novel and a whole lot more …Oh, okay, critical self: some of it is editing. How far is editing writing? There’s another rabbit hole down which to vanish and look, there goes another hour. It’s all writing, in different ways: but none of it relates to the project I think is most important. What with family and festival commitments, hospital appointments and pesky friends who insist on having birthdays EVERY year, I’ve been away from here for those two weeks. I value the Weekly Blog Club space; partly it’s the closest I come to keeping any form of diary or journal. There’s nothing like trying to recreate your 17-year-old thoughts – for a novel – to make me wish I had done this. Maybe I’ll feel the same in 20 years’ time but it seems unlikely I’ll go through similar changes and such intense feelings. I’ve mentioned the 750 Words process before. I’ve been neglecting that recently too. 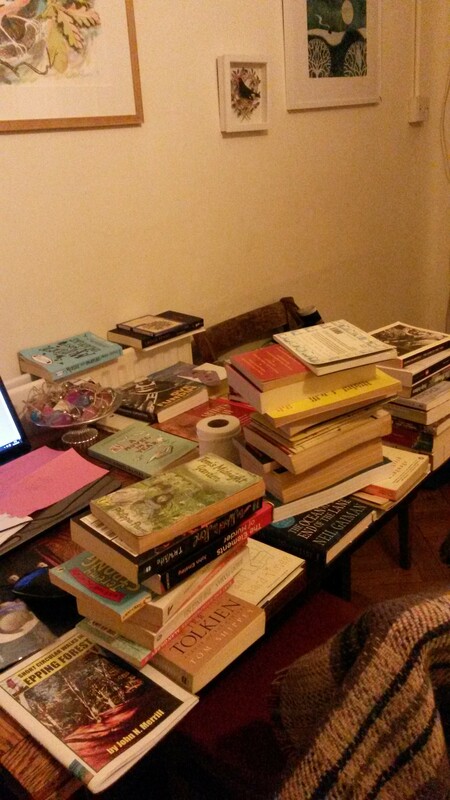 And it’s probably no coincidence that the piece I am having problems with is non fiction but personal. I’ll try again later. Or tomorrow. Except I’m busy tomorrow. I joined the Society of Children’s Book Writers & Illustrators earlier this year, as part of my continuing efforts to Be A Writer. Happy 50th Birthday Charlie Bucket. 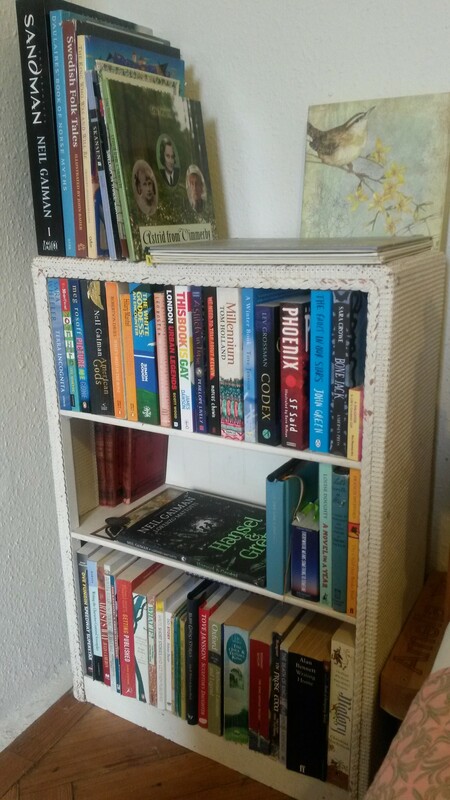 #bookadayuk is one of the better Twitter hashtag events. A different book with a different theme, chosen by readers each day throughout June. Such a lovely, simple idea from new HarperCollinsUK imprint The Borough Press. Here’s the full list, just in case you haven’t seen it. I didn’t spot it until today: 3 June and have been kicking myself for missing the first two days. Despite thinking off myself as a free-thinking, anarchic type, I have such an inbuilt nervous regard of rule and regulations that I just can’t bring myself to put my Day 1, 1st June, on Twitter today. So hurrah for Weekly Blog Club and the chance to play catch-up. 12th: Pretend to have read it: there’s a few that can go into this category. It’s possible there might even be one or two from university days, when I was terrified at the jump from finding myself Good at English to not having read ANY of the shelves and libraries full of texts that the omniscient people in my Modern Literature seminar had got through. 19th: Still can’t stop talking about it: I suppose I’ll have to make a vow that not every single book will be Riddley Walker by Russell Hoban. If I’d had his blue-covered Turtle Diaries to hand, that would have been my choice for today: One with a blue cover. 27th: Want to be one of the characters. Wow: where to start with that? Perhaps I’m wrong and I should spend much of today considering it. These are serious choices. Anyway: time to catch up with Days One and Two. These are somewhat similar. 1st: Favourite book from childhood. It’s ‘book’, not ‘novel’, so that makes a difference and it’s book singular. Yes, I am taking this very seriously. I said I am a respecter of rules. Favourite novel would probably be Charlie and the Chocolate Factory. I won’t go into detail now because I’m writing a blog post to celebrate its 50th anniversary for Words and Pictures, the online magazine of the British Isles region of the Society of Children’s Book Writers and Illustrators. ‘Books’ would probably have been the Jill pony series by Ruby Ferguson. There are no words to describe how I loved them. I longed with all my heart to be Jill, while trapped in a pony-free home without enough money for riding lessons and over-protective parents who wouldn’t have let me within a mile of a scary horse anyway. I didn’t have many books when I was a kid and once I got to school, I read my way throughout the bookshelves fast. So teachers used to take me to the town library. Skirting past the staircase (because upstairs, in the museum, the nightmare-inducing skeleton used to grin at you) I picked the same book, time and time again: Myths of the Norsemen, by Roger Lancelyn Green. The link goes to a blog post that details all the chapters. Fast forward some 40 years to June 2: Best bargain. 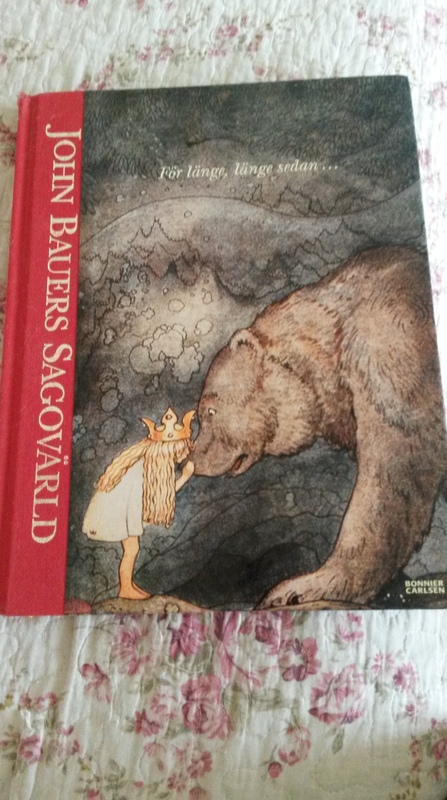 John Bauer‘s Sagovarld – Swedish Faerie and Folk Tales, picked up for a few crowns in a Stockholm secondhand shop. So much has changed. 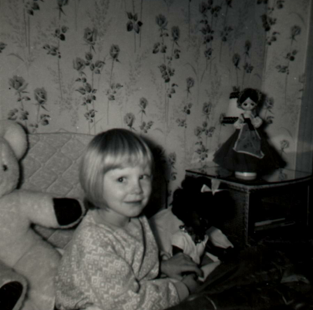 I’ve found a huge birth family in Sweden: seven brothers and sisters, just like a fairy tale. I’ve walked thought the forests and swum in the lakes I used to dream about. This could also go in for June 8th: Own more than one copy. My original, battered Swedish version is somewhere in a book pile. The picture is of a second copy closer to hand: a present from Swedish family. I’ve got copies in English too. Yes, I like John Bauer. Another book of Norse legends, bought for my daughter, has a blue cover, taking me back full circle to today’s choice. 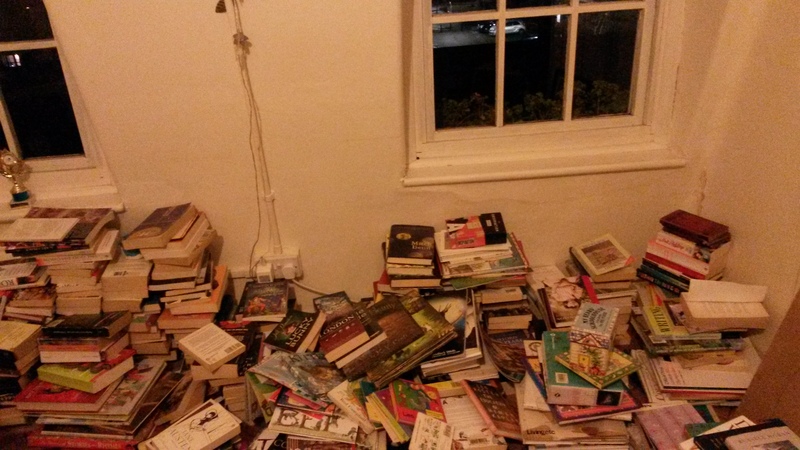 #bookadayuk – the best kind of distraction.